Dr. N. Delener is a Dean and Full Professor. 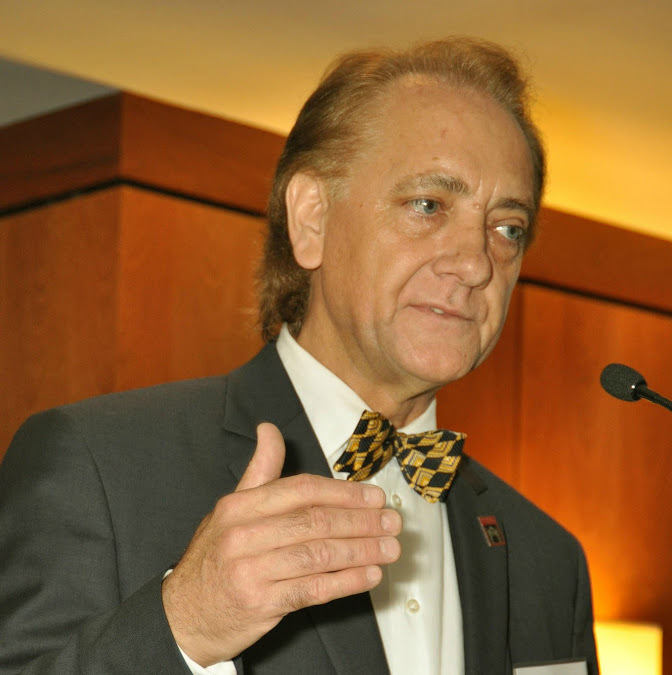 He was formerly Dean of the School of Global Business at Arcadia University. As Dean, faculty and programs across two campuses in the U.S. and Singapore were managed. In addition, he created a Center for Entrepreneurship & Sustainable Enterprises. Joint degree and off-shore graduate and undergraduate programs were also developed. The programs were developed in China, Romania and France. Under Delener`s leadership, State University of New York Old Westbury’s School of Business doubled graduate enrollment, established international exchange and faculty development programs, took the university to the final phase of accreditation from the Association to Advance Collegiate Schools of Business International (AACSB) in four years, and developed new degree and certificate programs. Prior to his time at SUNY, Delener was the Associate Dean for Academic Affairs and the Director of International Business Studies at the Peter J. Tobin College of Business at St. John’s University, a professor of marketing and international business, and a visiting lecturer at Erasmus University in Rotterdam, the Netherlands. He has also served a consultant to several companies, including Marriott Corp., Ellington Duval Inc., and World Wide Marketing Group. Delener is the founder and elected president of the Global Business and Technology Association, which consists of more than 3,500 members worldwide, and he is Editor-in-Chief of the Journal of Global Business and Technology, an interdisciplinary journal for the advancement of knowledge of the theory and practice of international business and technology. He has conducted numerous executive seminars in several countries, including Brazil, Czech Republic, England, Hungary, Italy, the Netherlands, Portugal, Russia, South Africa, Spain, Switzerland, Taiwan, and Turkey. Published in 2012, his most recent book – Service Science Research, Strategy and Innovation: Dynamic Knowledge Management Methods – explores strategy development, leadership, management, marketing, service contracts, e-government, e-commerce, and human capital management. Delener has published 18 books and more than 100 articles in prestigious, refereed journals, including the Journal of Business Ethics, the Journal of Advertising Research, the Journal of Academy of Marketing Science, the Journal of Business Research, the Journal of Emerging Markets, the Journal of Marketing Theory and Practice, the Public Administration Journal, the International Journal of Bank Marketing, the Journal of Marketing Management, the Journal of International Consumer Marketing, and the Journal of Euromarketing among others. An honorary inductee of the Iota Chapter of Beta Gamma Sigma, the international honor society serving business programs accredited by AACSB International, Delener is the recipient of several awards and grants, including the Global Leadership Award, University Excellence in Teaching and Scholarship Award, the Administrative Outstanding Achievement Award, the National Service Award, and a research grant from the U.S. Department of Education. Delener earned a Ph.D. from the Graduate School at the City University of New York as well as an M.B.A. and Advanced Professional Certificates in Marketing and Strategic Planning from the Stern School of Business at New York University.